There’s a great irony in the annals of RPG development. While Bioware put together the sunny coastline of Baldur’s Gate in Edmonton, Canada – where 123 centimetres of snow falls every year – their counterparts at Black Isle built the frozen wastes of Icewind Dale in scorching California, under the auspices of Brian Fargo’s Interplay. Related: the best PC RPGs. “That is kinda funny, I hadn’t thought about that,” laughs Fargo. He and Wasteland 3 lead Chris Keenan are calling from InXile’s Newport Beach office. It’s 80 °F outside. Wasteland 3 continues the tradition – leaving behind the cracked desert plains that sold its predecessor for the savage cold of a snow-swept Colorado. 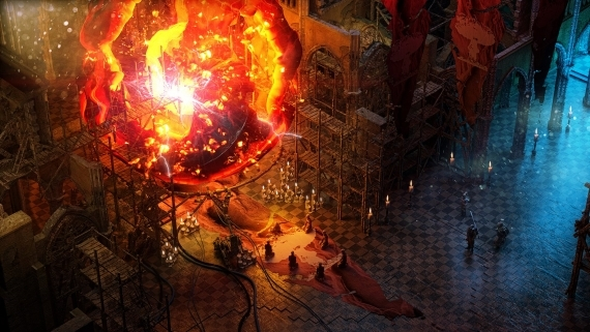 InXile and Wasteland 2 more or less wrote the script for game crowdfunding back in 2012 – following Double Fine Adventure’s lead with a pitch that played on nostalgia, replete with comedy sketches about clueless publishers. But even now, with two more Kickstarter wins behind them, the studio get the fear in the hours before setting a campaign live. “Oh hey,” Fargo exclaims. In a moment of perfect serendipity, the Wasteland 3 campaign has just passed $3 million in funding. 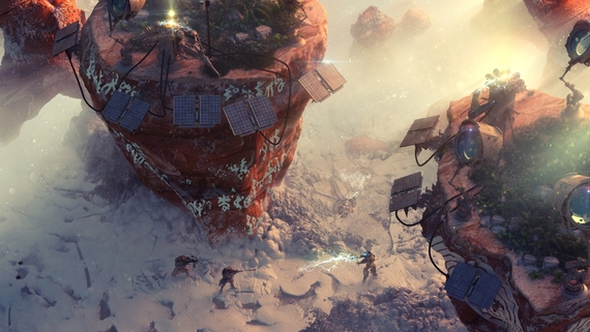 This time, it’s that Wasteland 3 isn’t on Kickstarter, but a new platform named Fig. Oh yes: Brian Fargo, perhaps the most visible figurehead and advocate for the merits of Kickstarted games, has moved on. 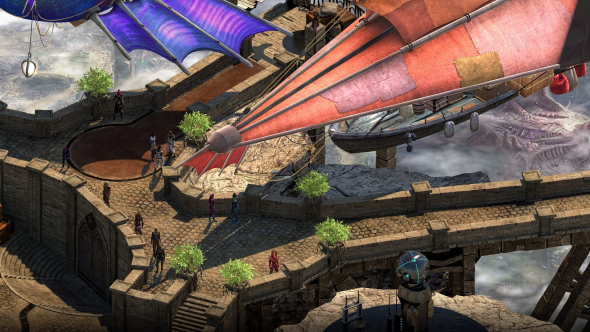 Although Wasteland 2, Torment: Tides of Numenera and The Bard’s Tale IV each pulled in millions of backer dollars for InXile, campaign totals are diminishing across the board. UK market analysts ICO Partners found that gaming Kickstarters raised $8.2m in the first half of 2016, compared to more than $20m in the previous six months. “Everybody was happy to get these genres back going again, because there were some categories that weren’t being addressed,” says Fargo. “Certainly role-playing games, point and click adventures. People were being denied them, so we were able to step in. At the pitch stage, Fig functions in much the same way – but the implications of throwing $30 into a campaign’s coffers are fundamentally different. Here, developers can offer shares to their backers, with the potential for financial return if things go well. The idea – and its adoption by backers of Wasteland 3 and Psychonauts 2, to the tune of millions of dollars – marks a shift away from game crowdfunding as a vague space between pre-order and charitable donation. The emotional investment is now a monetary one. It’s worth mentioning that Fargo is no passing partner of Fig: he’s a member of its advisory board, along with Tim Schafer, Obsidian’s Feargus Urquhart, and Cliff Bleszinski. There’s a sense that Fig’s founders have been mindful of the ways in which backlashes against poorly run and poorly explained campaigns have damaged crowdfunding’s reputation. The platform works together with developers on marketing and press strategy – while the money gathered from unaccredited investors is released to studios bit-by-bit, in a fashion designed to discourage cash grabs. “That’s an extra mechanism to help if things really go sideways,” says Fargo. “I don’t think development risk can ever be avoided entirely, but we can certainly help mitigate it. We get a chance to ask the developers some tough questions about how they’re going to do it, or where they’re going to get the rest of the financing from, or whether the concept is even any good. I get to weigh in on those conversations. I think it only helps. The InXile boss has got his wish. 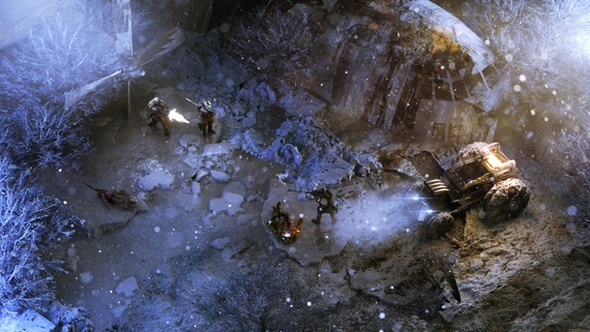 With a week’s campaigning left to go, Wasteland 3 has surpassed the total his studio hit in 2012. However it goes, Fargo is in it now – along with 16,500 others.